Prayer is an adventure – a journey into God and a journey to the deepest, hidden levels of ourselves. To embark on a life of Prayer is to begin a voyage of discovery. 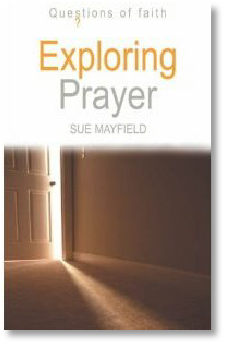 Exploring Prayer looks at many aspects of prayer - celebration, encounter, penitence and listening - and explores a rich tapestry of different ways to prayer – using music, movement, colour, the senses and the imagination. The book includes contemporary quotes, colour photographs and practical exercises.